"You can get lost in the fact that this is a collection of quotes by Oprah and not thoughts written by Oprah exclusively for this book. Or you could be smart and glean wisdom from what she has to say. How she grew up, what she learned from her errors, what she thinks of money and herself in relationship to it, the mental preparation to receive the abundance that she has and how she stays centered. What I think thsi book is valuable for is insight, and perhaps personal inspiration for how to manage one's self in certain situations. The goal is not to become Oprah, it is to become the best YOU possible." 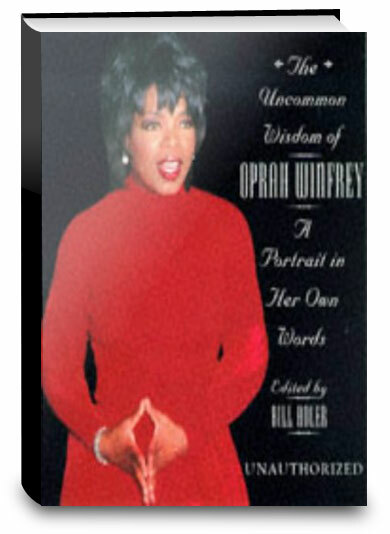 Click the button below to add the The Uncommon Wisdom of Oprah Winfrey: A Portrait in Her Own Words to your wish list.